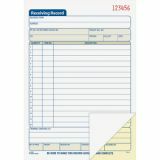 Columns for quantity, stock number and description. Space for remarks and conditions. 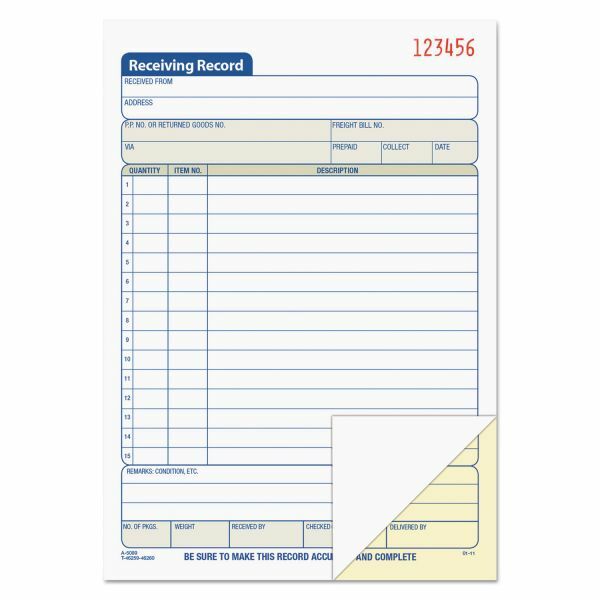 Two-hole punched to fit storage binder. 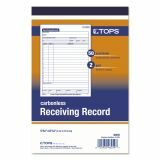 TOPS Receiving Record Book, 5 9/16 x 7 15/16, Two-Part Carbonless, 50 Sets/Book - Carbonless, receiving record forms detail up to 12 items on the numbered lines. 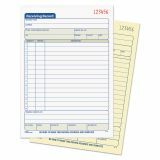 Boxes offer space for quantity, item number, and description. 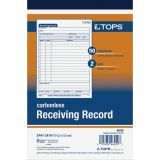 Two-part carbonless form is printed in blue ink on the white original. The copy is in canary. 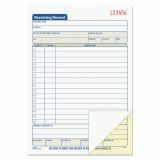 Forms are sequentially numbered in red and two hole-punched for post binders.